The Miscarriage Association is excited to be working alongside more than 60 organisations for this year’s Baby Loss Awareness Week (9-15 October), a very special annual event to mark the brief lives of babies lost in pregnancy or at or shortly after birth. It’s also a chance to raise public awareness of the impact these losses can have on bereaved parents and those close to them. 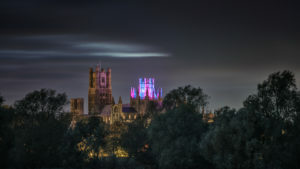 One of our aims for the week is to have as many public landmarks as possible lit up in the baby loss colours of pink and blue, to help raise awareness of baby loss in the UK. Can you ask whether buildings and landmarks in your region that illuminate at night will turn pink and blue during 9-15 October? Is the building where you or someone you know work/s illuminated at night and might take part?